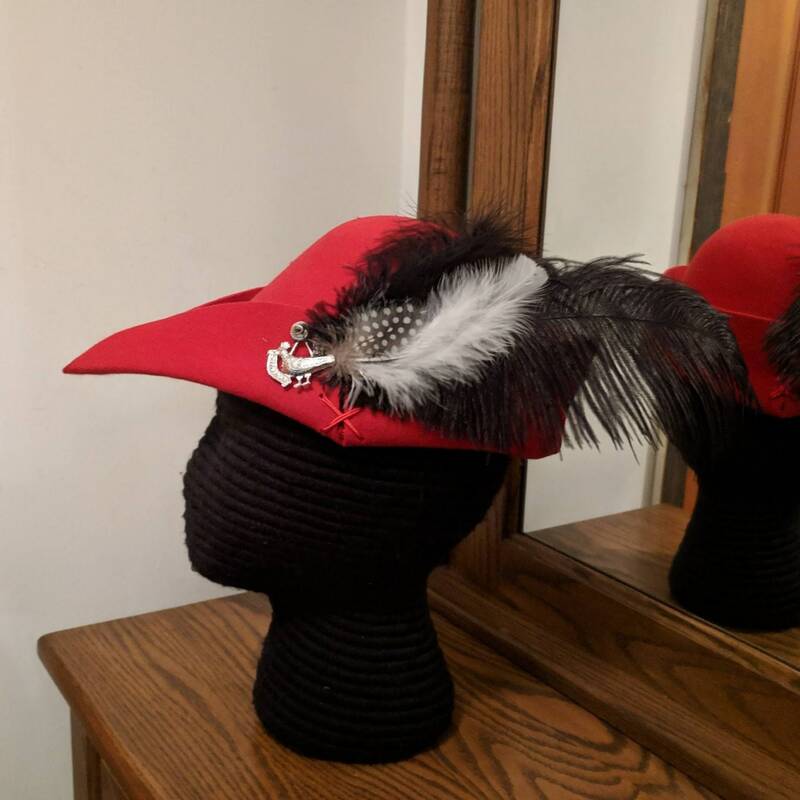 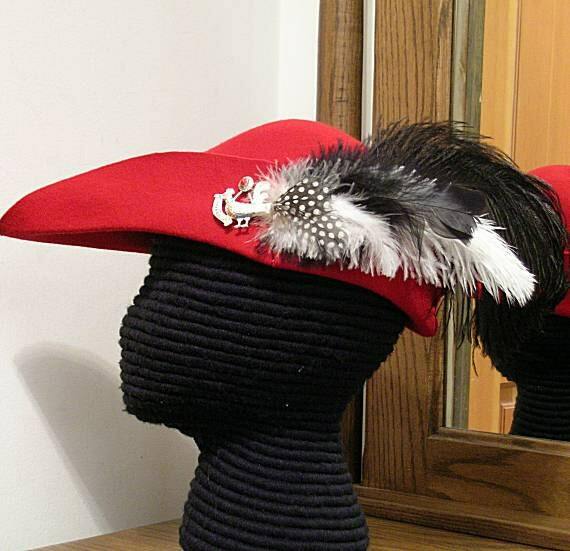 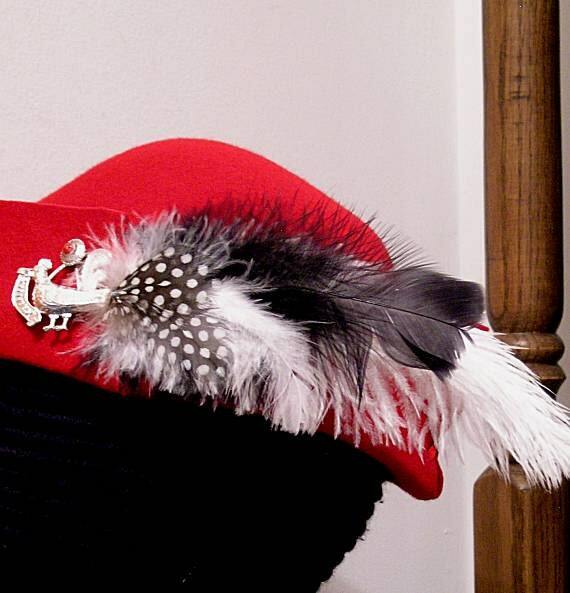 This listing is for a red hunter's hat with laces on the sides and back, plus a ostrich feather approx. 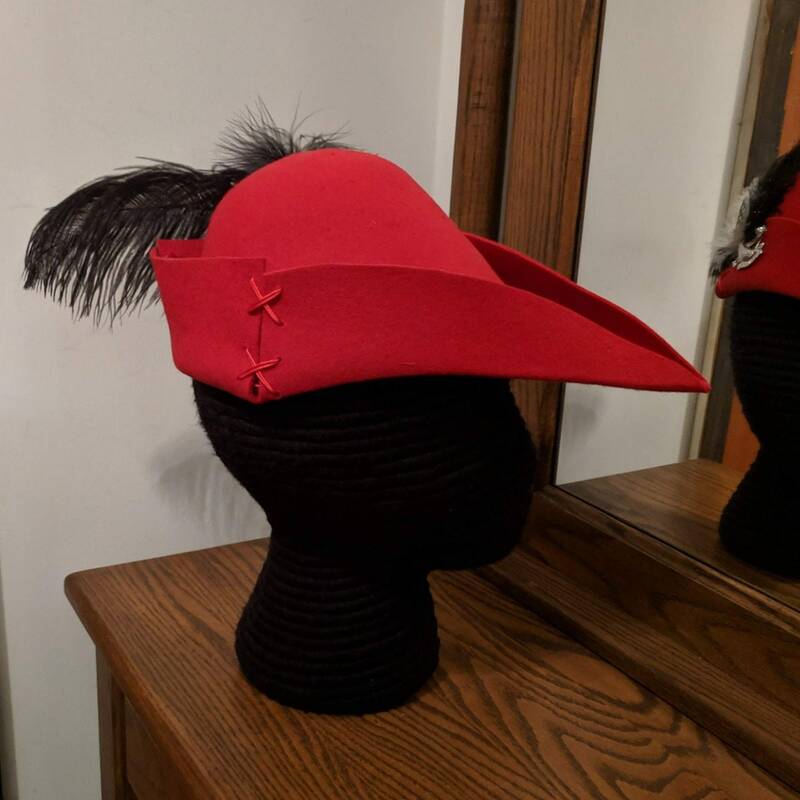 12" long. 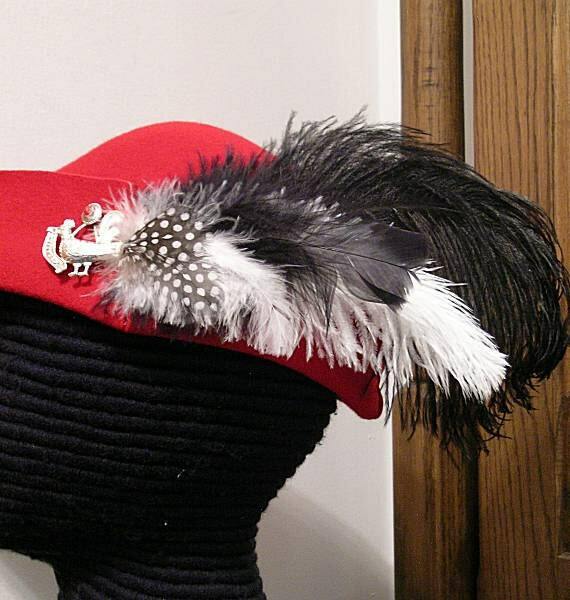 The plume holder will have black and white accent feathers to add to the splendor! 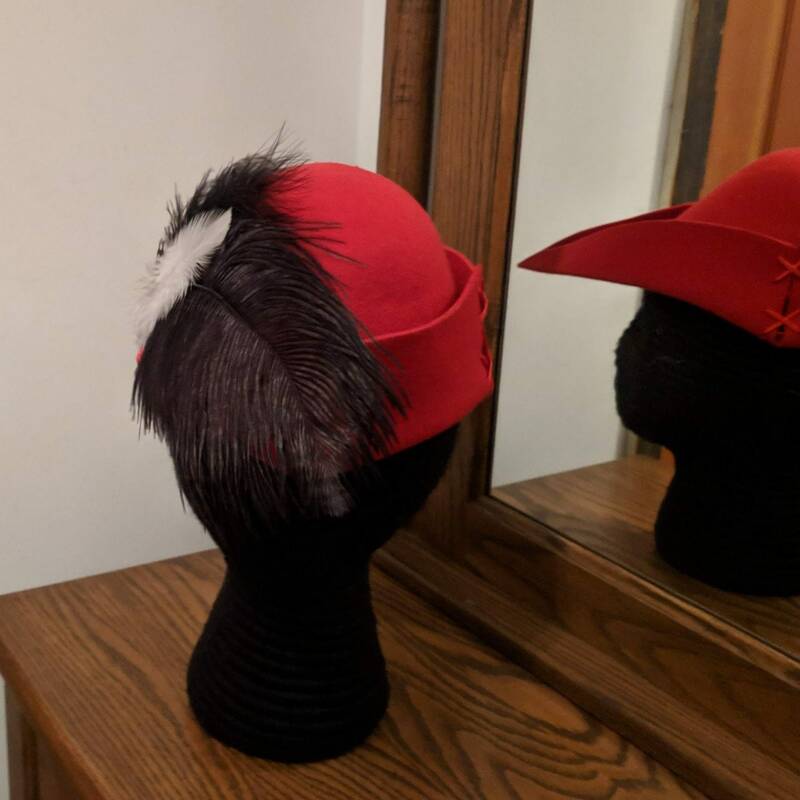 (Feathers will vary.) 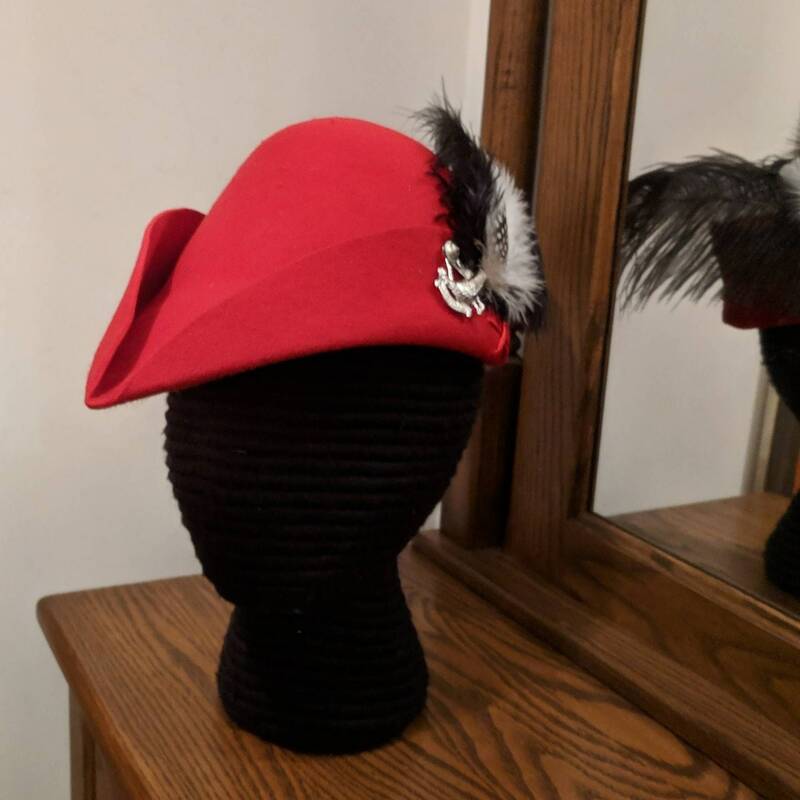 Please convo us, if you want to order the plume holder without the hat! 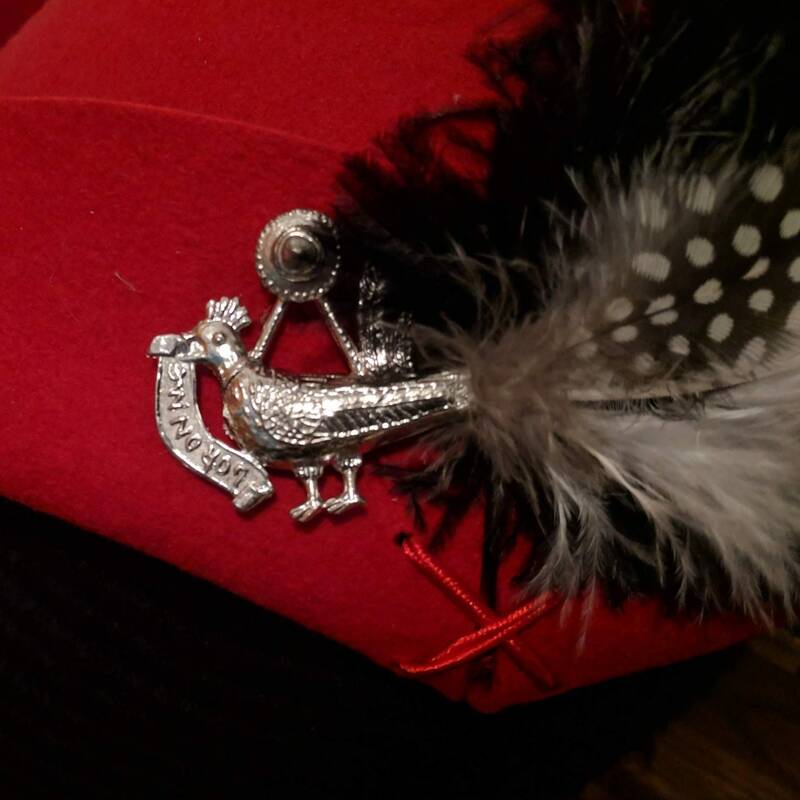 The Cocky Rooster Plume Holder Only!